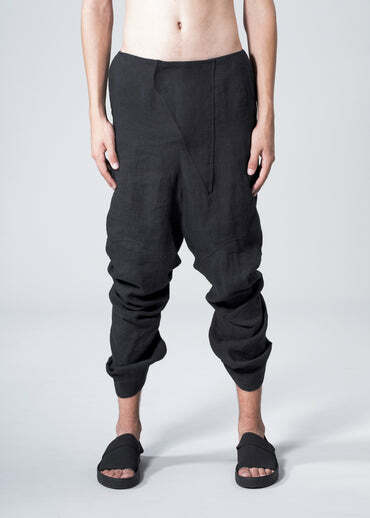 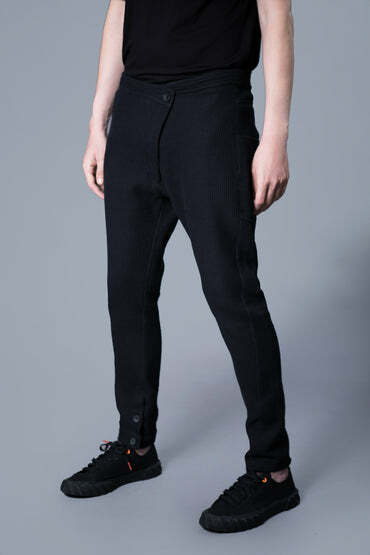 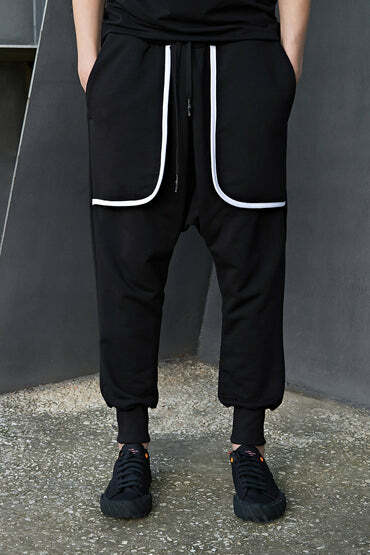 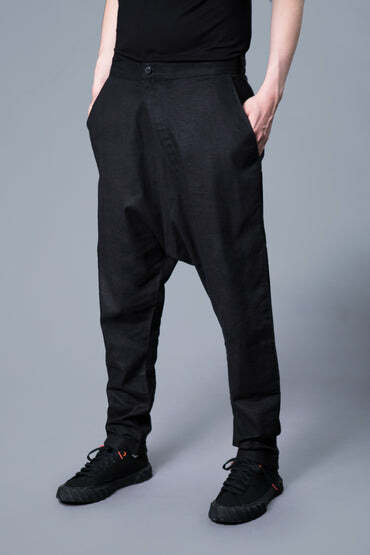 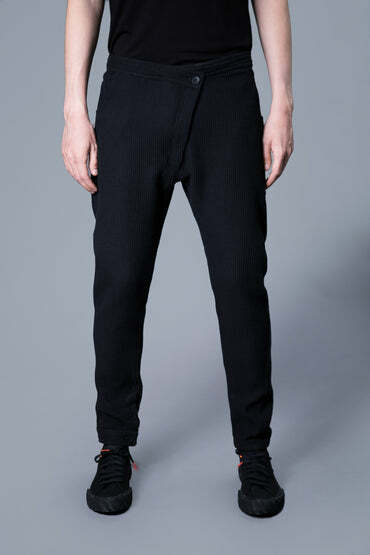 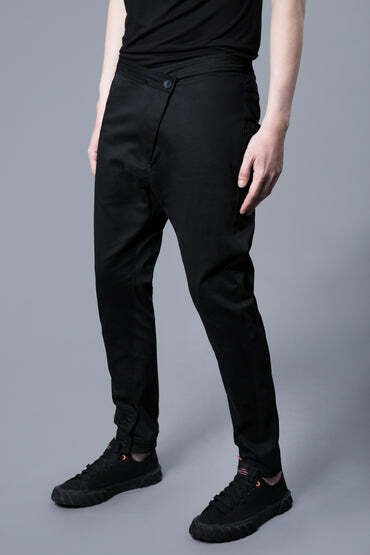 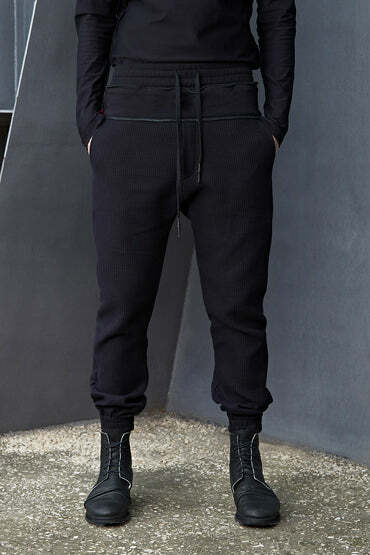 Long pleated drop crotch pants, made from soft cotton fabric. 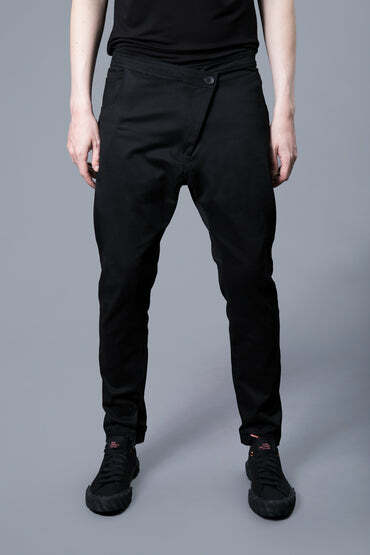 Includes one big back pocket and two side pockets. 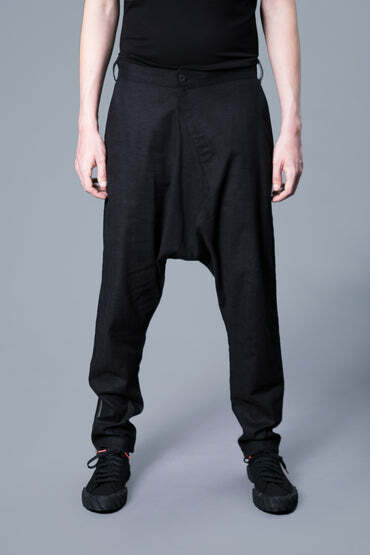 Elastic waistband and elastic ribs on both legs.